The amazing design of this exquisite blouse is sure to bestow you with a beguiling look. Crafted to perfection, this piece is a perfect staple for your wardrobe, which you can rely over and over again. 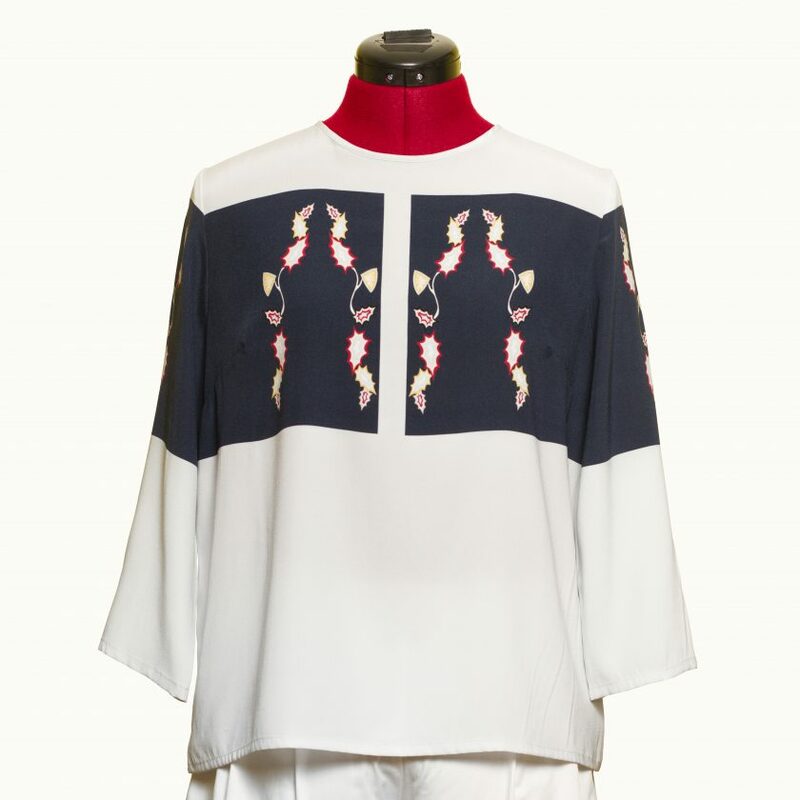 The 3/4 length sleeves and the original print give a stylish look to this blouse. The SIMMETRIA print is an original and exclusive design by Alba LAZARÍ. Back opening with a button, 3/4 length sleeves. Do not wash, dry clean. Do not tumble dry or bleach. Iron on reverse at low temperature. For any queries contact us using the CONTACT info.